The 1.5 million acre Hopi reservation is located in Arizona, surrounded on all sides by the Navajo Nation. 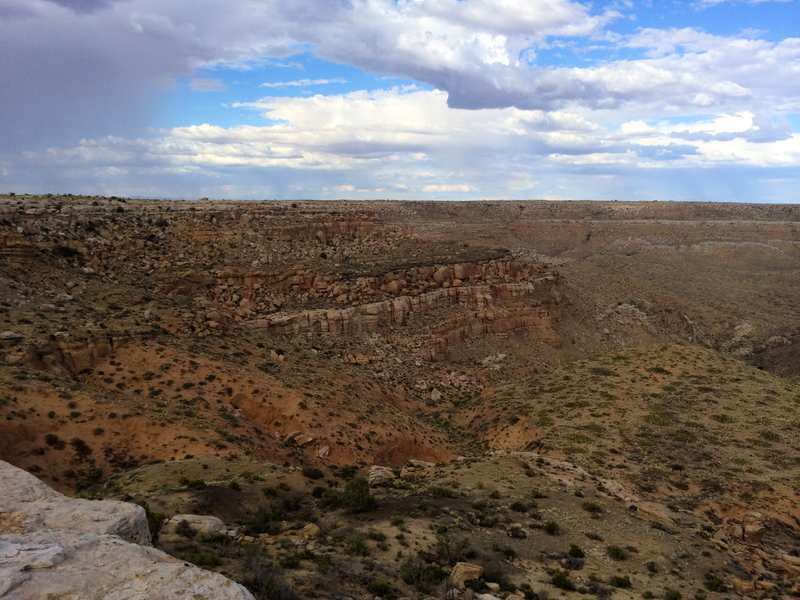 The Hopi Nation consist of 14 villages on three mesas, where Hopi people have farmed for over a thousand years. 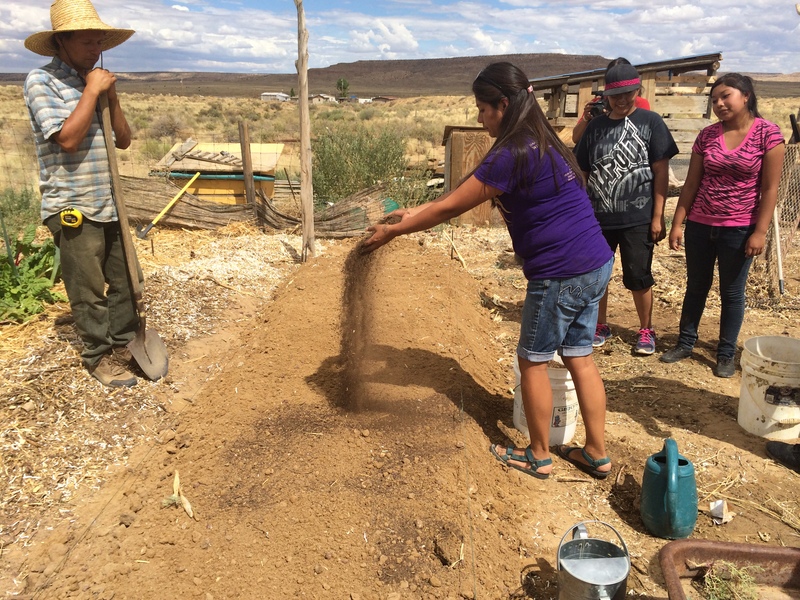 Using dry-land farming, Hopi people are famous for their ability to coax abundant crops of corn, beans, squash and melons out of the sand. 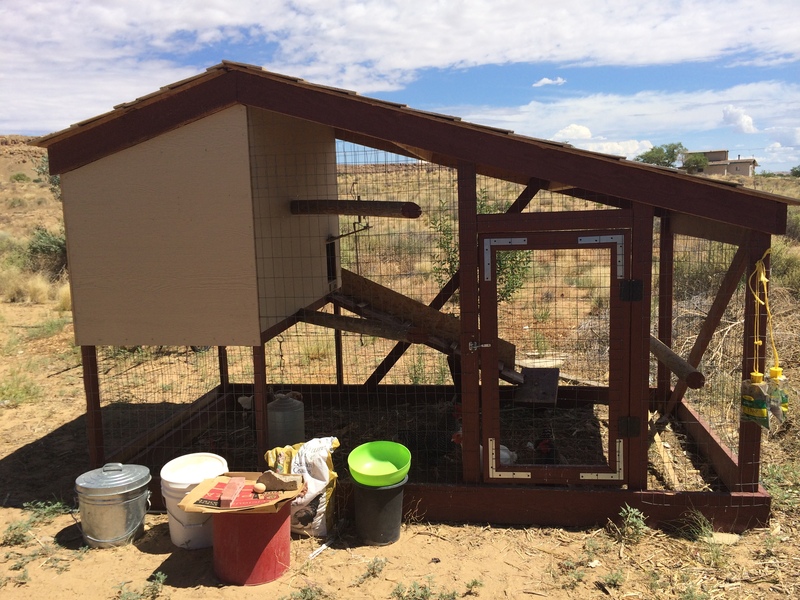 The growing season is short in the high desert; between 120-160 days depending on elevation (most of the villages are at 6,000 feet) and the increasingly unpredictable weather. 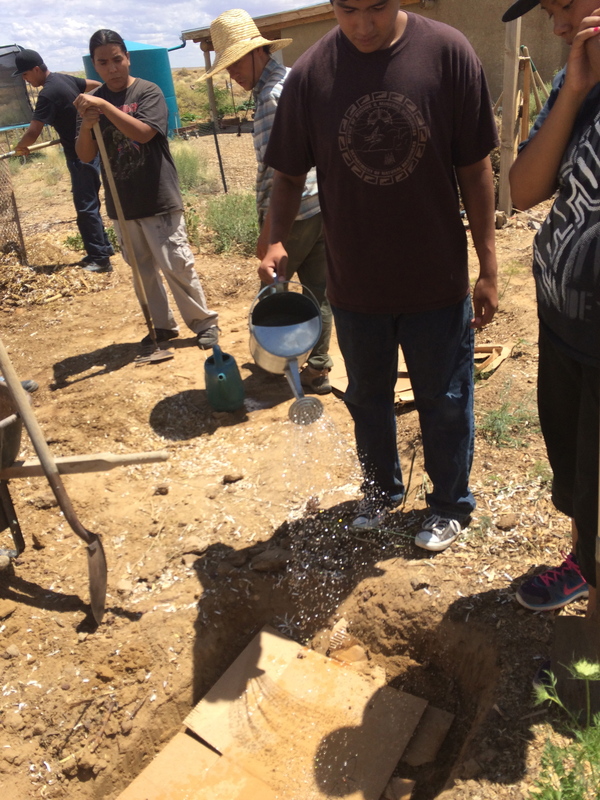 Hopi farmers also contend with high summer temperatures and very little rainfall. 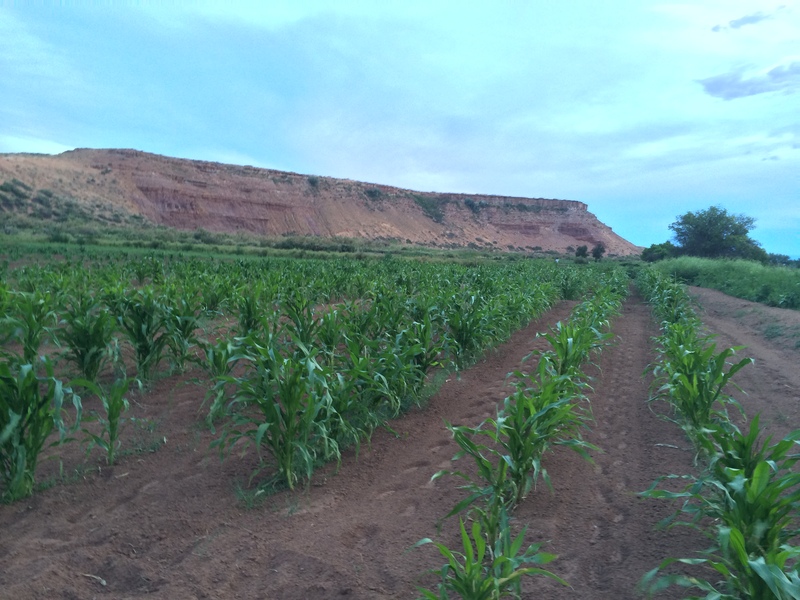 Corn is often planted deep in the ground, sometimes up to 10 inches, to accommodate rising soil temperatures and receding moisture. Hopi corns are uniquely selected to thrive in this environment and have been adapted to this challenging climate over many generations; Anthropologists/ Ethnobotanists Daniele Soleri and David Cleveland (1993) noted that “The Hopi are foremost among Native American farmers in the United States in retaining their indigenous agriculture and folk crop varieties.” In addition to working to maintain this traditional agriculture, the Hopi Tutskwa Permaculture project is also integrating permaculture methods to grow additional food crops, and help Hopi people become more self sufficient. 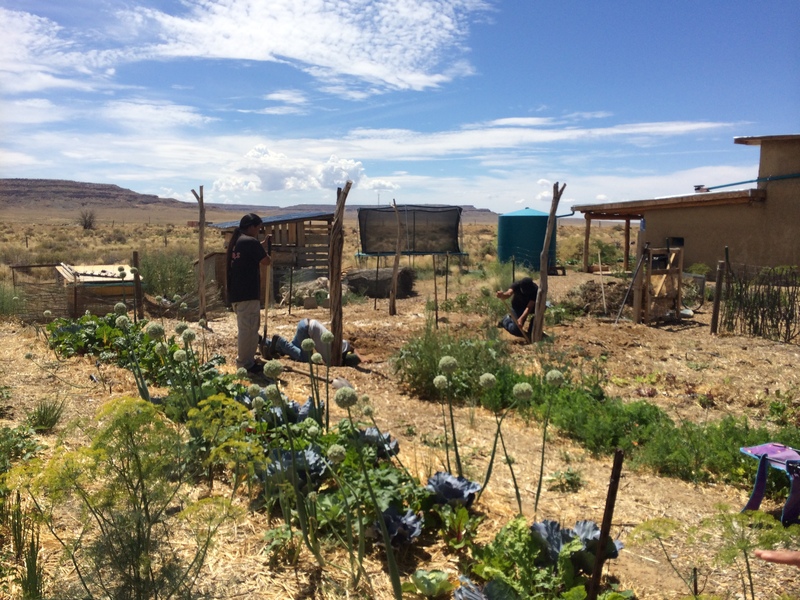 Hopi Tutskwa Permaculture project based out of the home of Lillian Hill and her husband Jacobo Marcus in Kykotsmovi Village on Third Mesa. 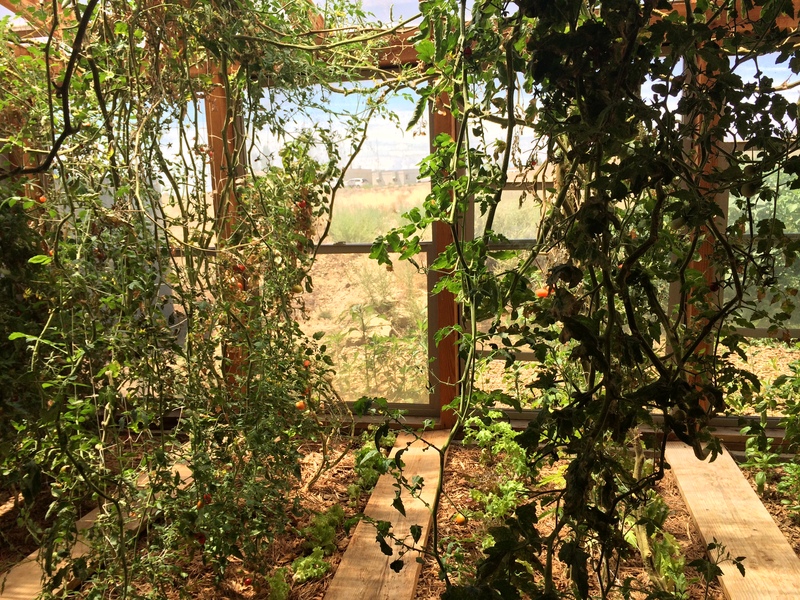 After driving through the desert, pulling into her driveway is like arriving at an oasis. 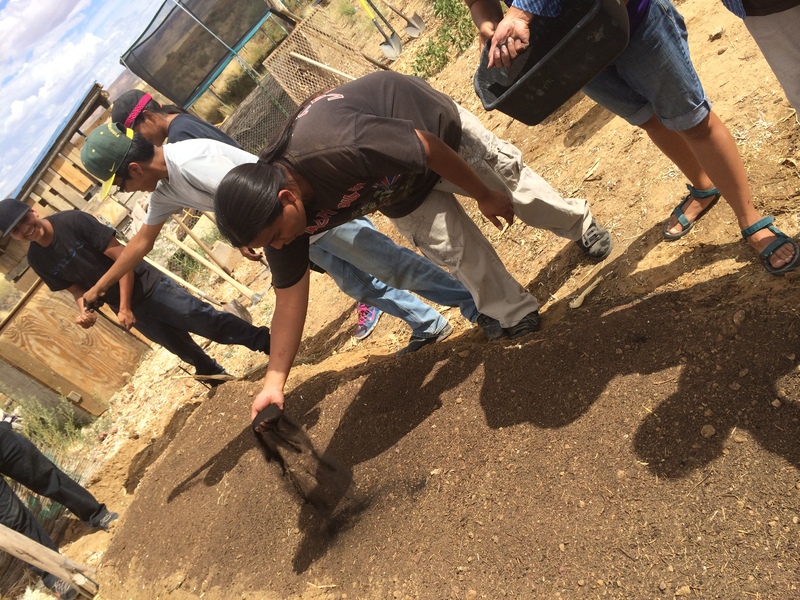 Through the hard work of she and her family, as well as through the labor of interns that they have trained here, their home demonstrates how possible it is to coax food out of the desert using permaculture methods. 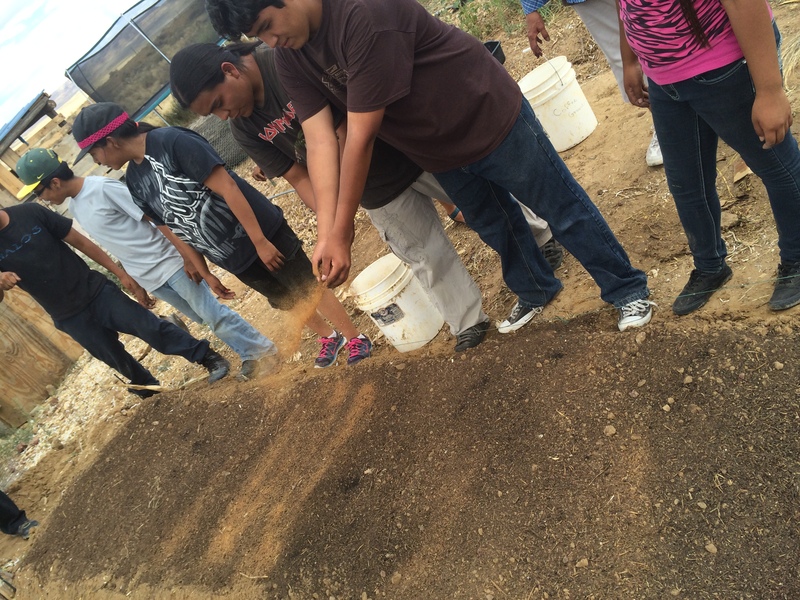 In the Hopi language “Hopi Tutskwa” refers to the life ways and knowledge of the land and soil. 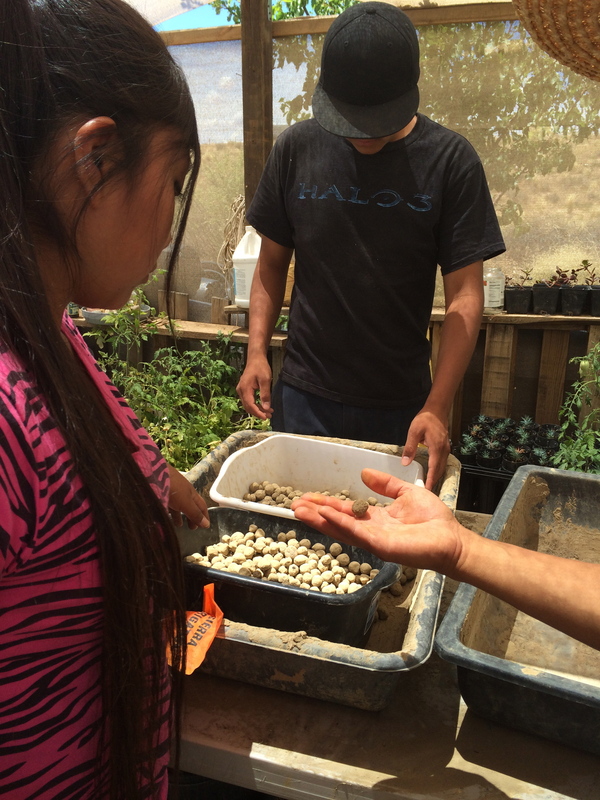 The organization got its start in 2004 at a Natwani Food and Agriculture Symposium hosted in Kykotsmovi Village, during which over 300 Hopi community members participated in a discussion related to health, nutrition, farming, culture, and subsistence. 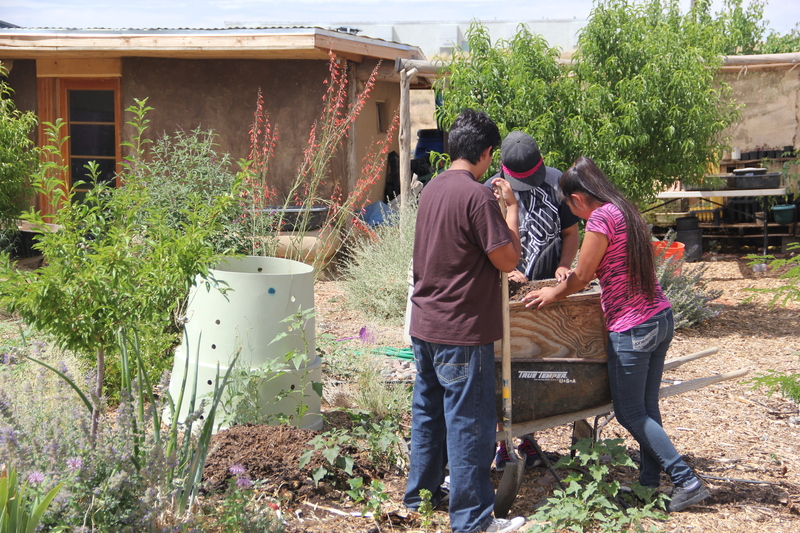 Lillian Hill, a youth project coordinator, and 15 Hopi youth documented the community’s thoughts and concerns, and drafted the framework of HTP. 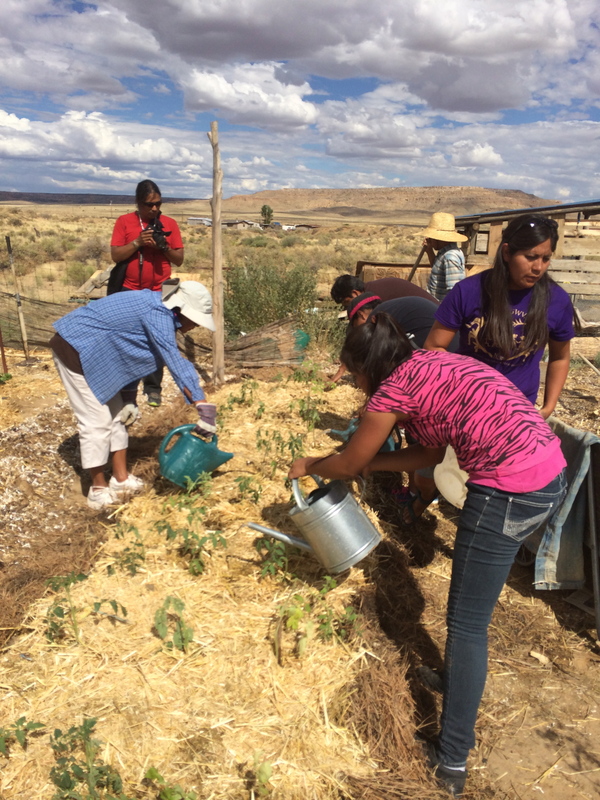 Hopi Tutskwa Permaculture, directed by Lillian, currently works to provide trainings, workshops and hands-on learning projects that support Hopi youth and community to develop skills in creating sustainable homes and villages. 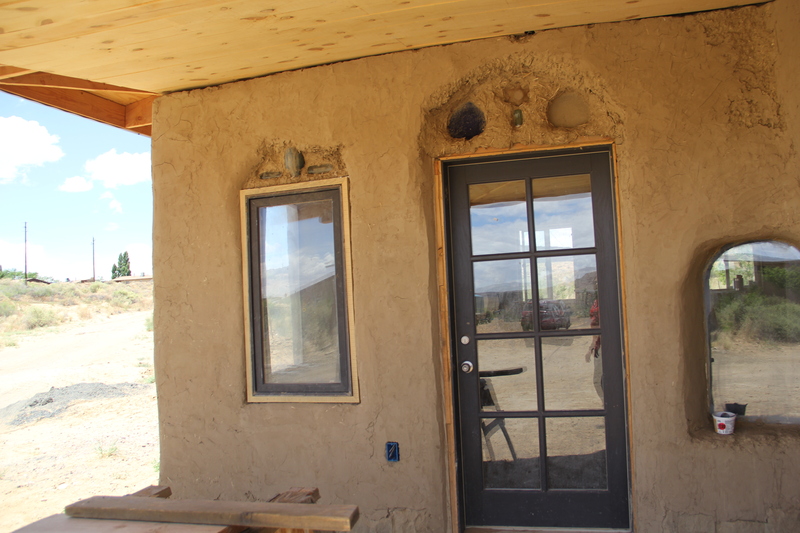 Lillian and Jacobo’s home serves as the Living and Learning Demonstration Site, where apprentices have the opportunity to learn through doing. 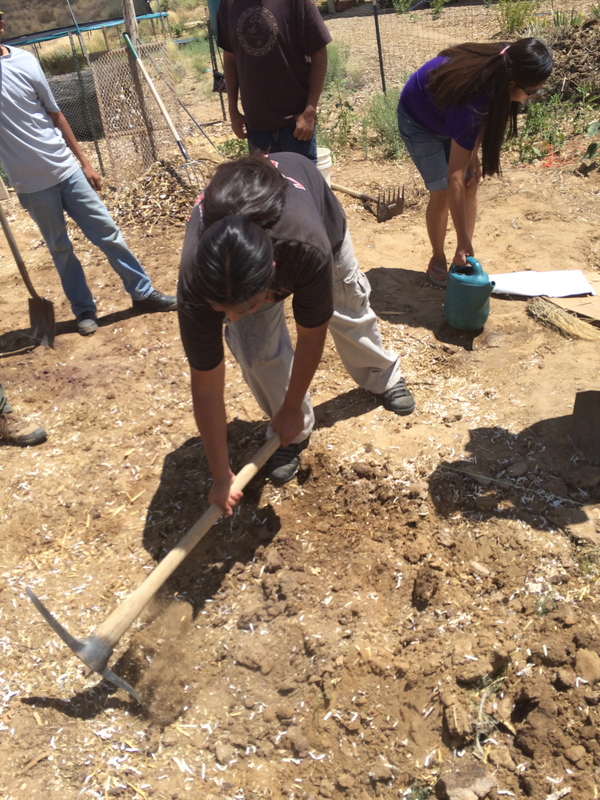 The apprenticeship program, which brings participants in for 4-8 weeks to learn about permaculture design, gardening, and green building, is currently in its third year. 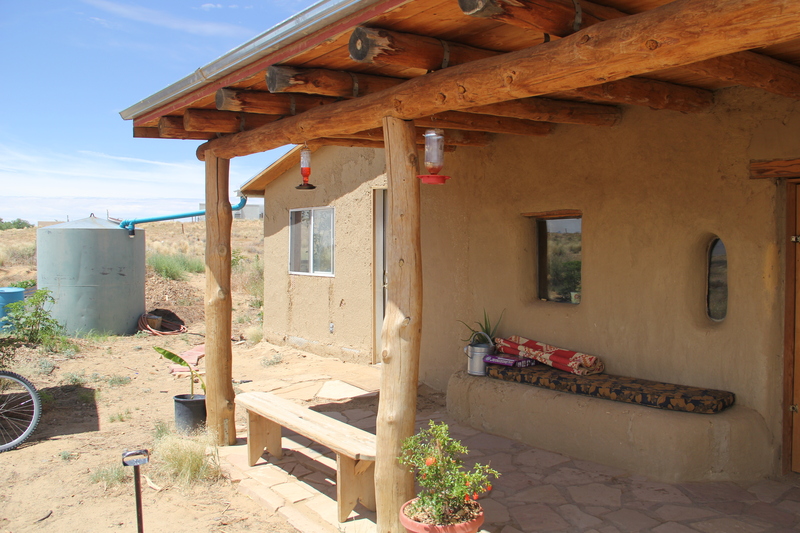 A majority of their interns come from the surrounding 14 Hopi villages, and described to me that they were there because they wanted to take this knowledge back to their families, so that they could improve their own homes. 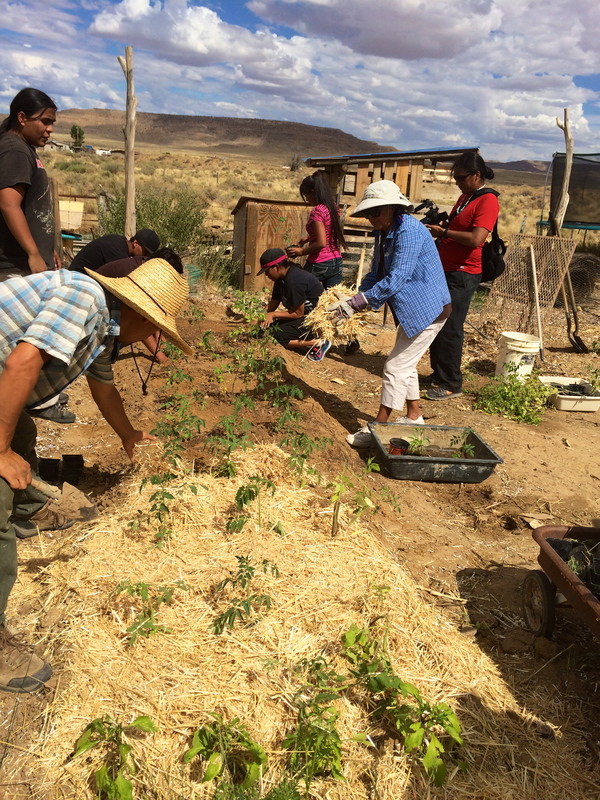 Hopi Tutskwa Permaculture has also been active in restoring old orchards in Hopi communities, as well as starting new ones. 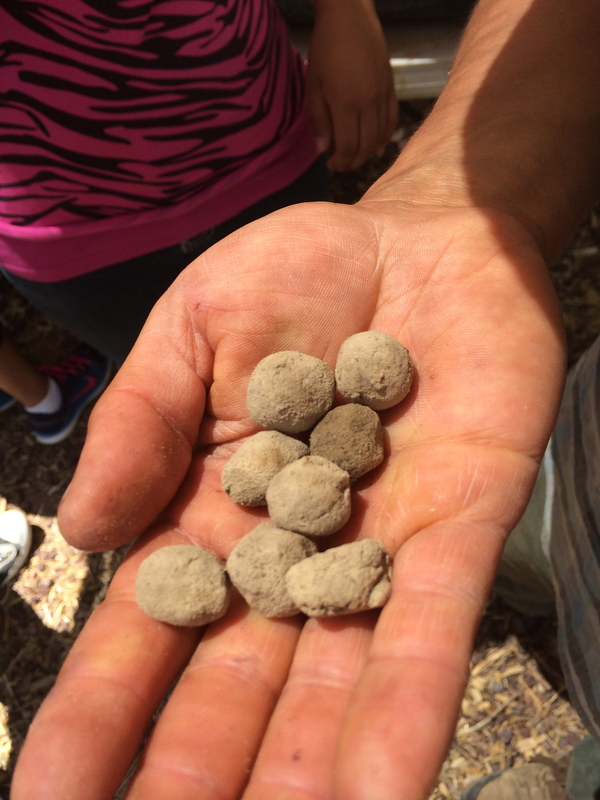 Planted all around Lillian’s house are 85 young fruit trees, that will someday bear cherries, apples, pears, apricots, nectarines, peaches, currants, and gooseberries. 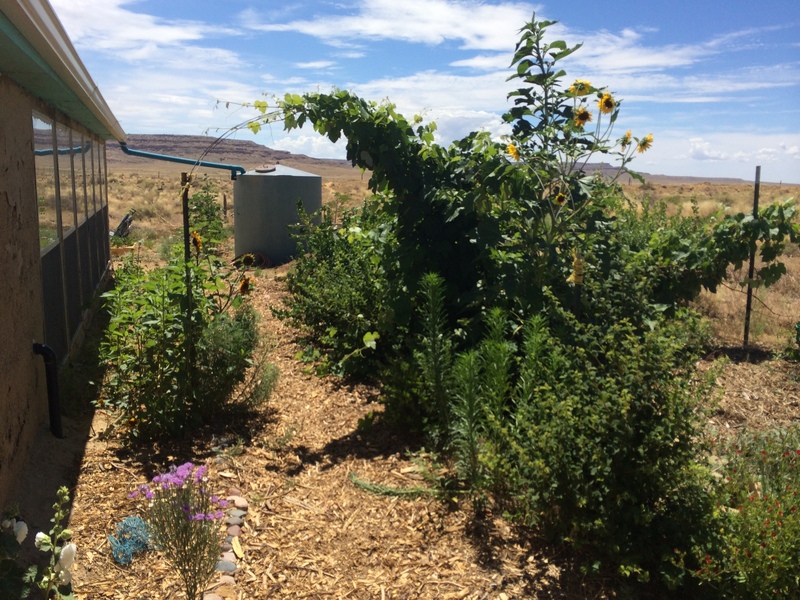 Hopi Tutskwa Permaculture receives a grant every year from Fruit Tree Planting Foundation that allows them to buy heirloom varieties of drought tolerant trees from Tooley’s Trees in New Mexico. 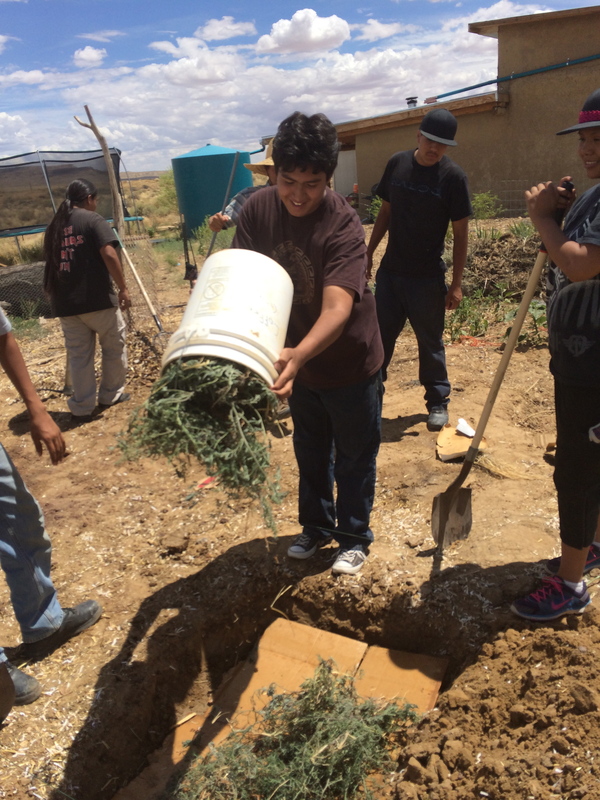 In total, the project has planted nearly 3,000 fruit trees at different Hopi school and village sites. 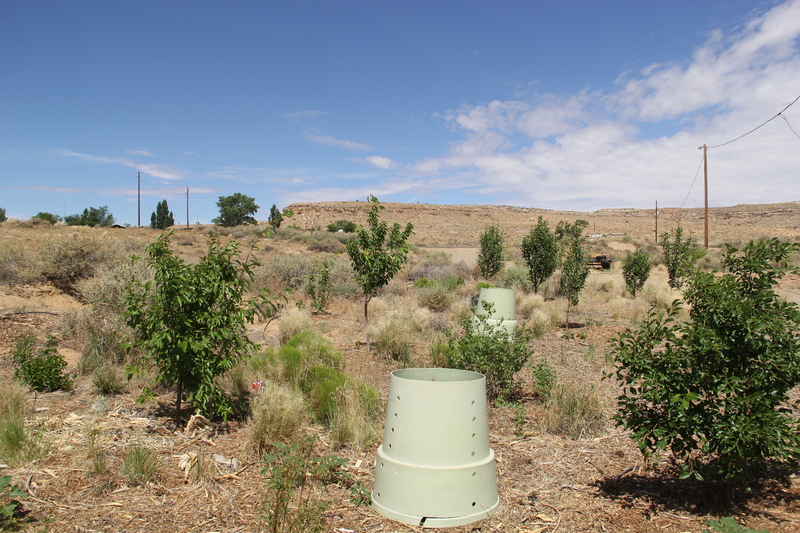 The hope is that as these trees mature, the fruit will be eaten by the community, and help with economic development. 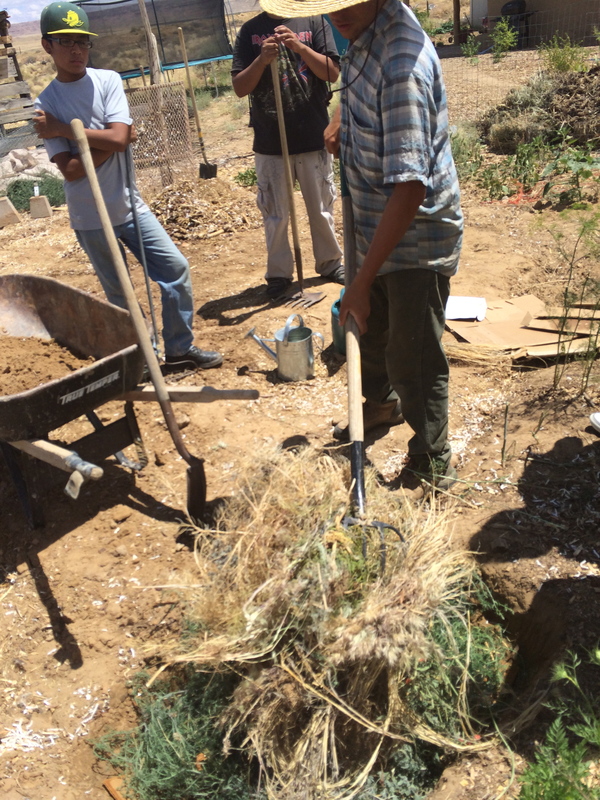 When we stopped by on July 9 to visit the project, Lillian and the interns were creating a new lasagna bed in the garden. 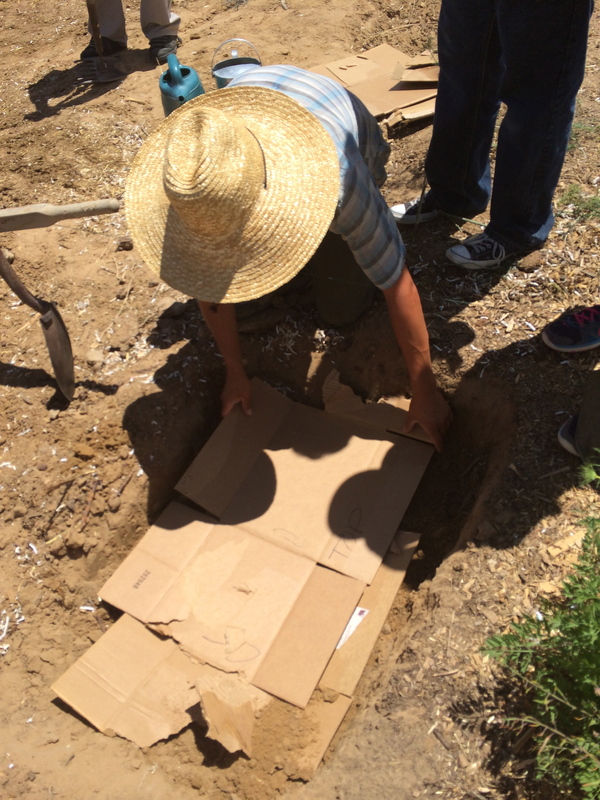 The rich beds created by layering compostable materials underground create an environment which better provides moisture and nutrients essential for plants that are not as well adapted to the desert as Hopi crops. 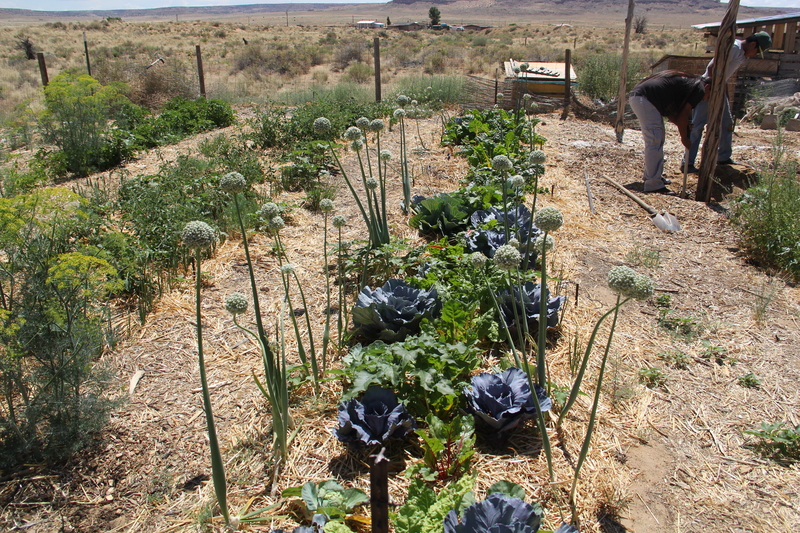 In these beds, crops can be planted close together, which also helps to conserve space and water. 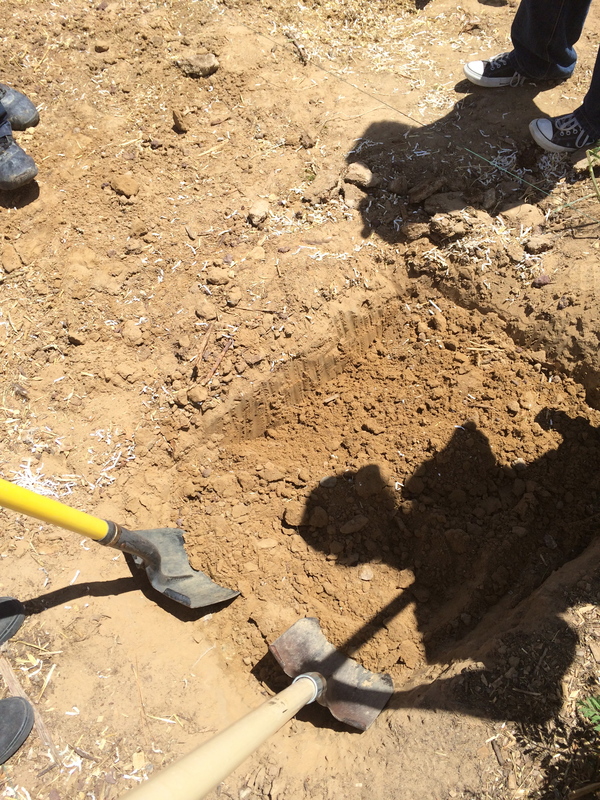 Step 7: Kyle (with everyone’s help) dug the next hole, using this soil to cover the square that was just completed. This process was repeated until we reached the end of the bed. The last square was covered with dirt removed from the first square. 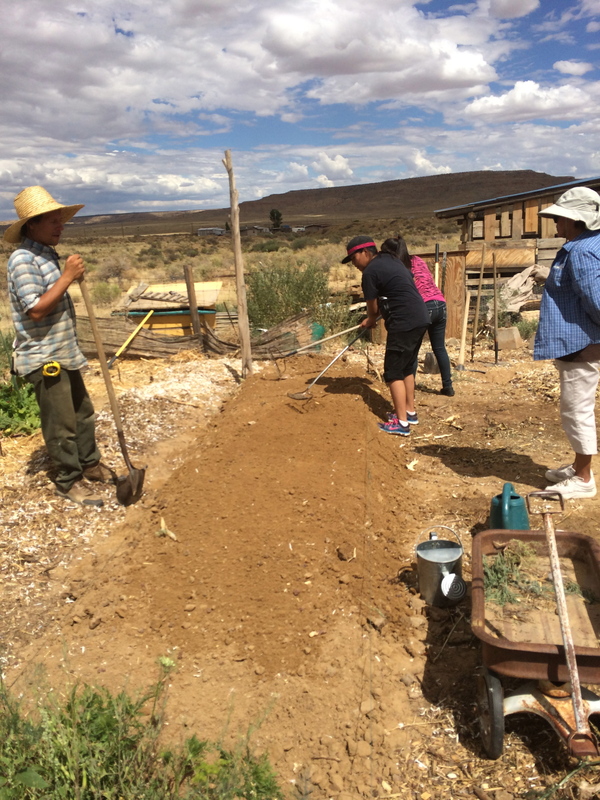 The mission of Hopi Tutskwa Permaculture is to “create community based solutions in order to pass knowledge to the future generations and rebuild culturally sustainable and healthy communities.” To accomplish this, Lillian and the other staff and advisors of HTP have been trained in permaculture design, organic and natural orchard keeping. and watershed restoration. 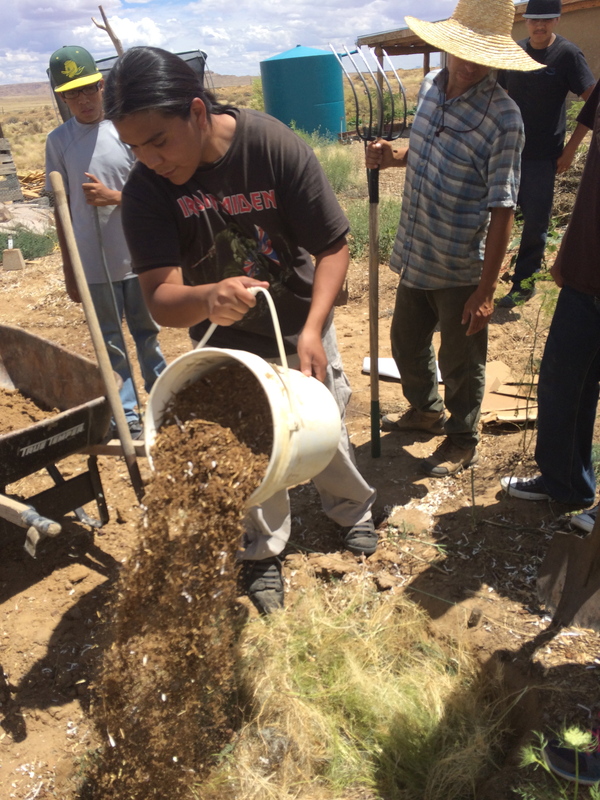 They then take these trainings, adapt them to the culture and climate of Hopi land, and share them, giving interns the tools they need for this community building work.